You are currently browsing the Lisa Hug blog archives for August, 2011. This was my last day. 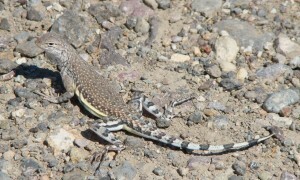 I lingered on Highway 89 just south of Lassen for a little while. I photographed this butterfly which I used to know as Meadow Fritillary. 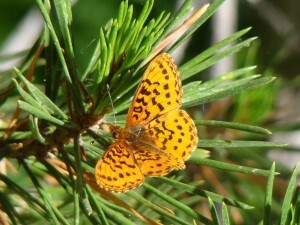 But now, due to taxonomic changes, it is the Pacific Fritillary. Sometimes you have to travel all the way to Lassen to learn these things. 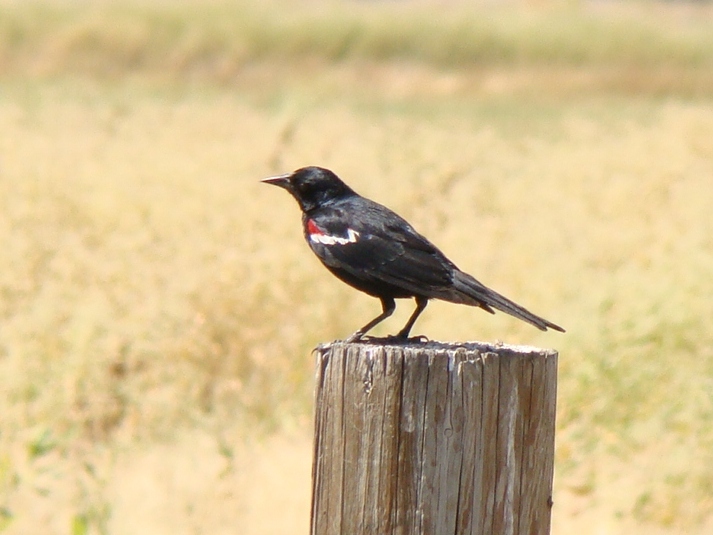 I decided to take Road 32 down throuh Tehama County because I had absolutely no birds recorded in that county in my very old-fashioned county-bird coloring book from Golden Gate Audubon Society put out in the 70s or 80s. That was fun. I added White-headed Woodpeckers and Cedar Waxwings to the trip list on that road. It was a dramatic drive down the mountains into Chico. The last part of the road was through dry Gray Pine Forest. The views of the large valleys and tall cliffs were stunning and a fitting end to the trip. Once I arrived in Chico, I called it an end to a great trip. I ate a burrito, bought some fresh fruit, filled the car with gas, changed in to shorts, and buzzed on home on the freeway. I returned to Burney Falls in the morning to look for the Black Swifts again. This time the light was better. There were Black Swifts visible against the lit up rock cliffs. The Vaux’s Swifts were not there. The Vaux’s Swifts were all in wing molt. 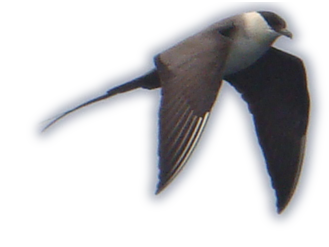 As a matter of interest (or noninterest), none of the Black Swifts were in wing molt. I headed down to Lassen National Park. I set up my campsite and birded for the day. The best bird of the day was probably Evening Grosbeak and there were Bufleheads on one of the lakes which surprised me. The scenery was amazing, but the birding was pretty slow. However at one point, I was surrounded by about 50 Orange-crowned Warblers. 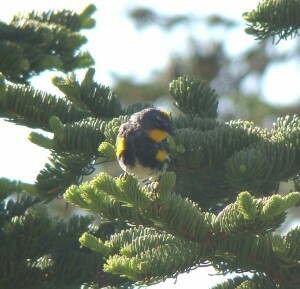 Here is a photo of an Audubon’s Yellow-rumped Warbler which was a pretty common breeder up there. Day 4 was a montane exploration day. 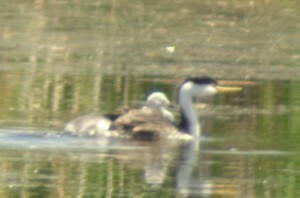 I watched some Western Grebes display to each other on the lake while driniking my morning coffee. I looked at some Mountain Chickadees. and then found some high-country chapparel with some Green-tailed Towhees and a Rock Wren feeding a young fledgeling. I then ditched the pavement for the more solitary dirt roads and traveled forestry road 21 and drove up to Antelope Valley Lookout. I had nice views of a Williamson’s Sapsucker and a lovely juvenile Townsend’s Solitaire. I drove through a huge Alpine meadow called Pine Creek Valley. There were Sandhill Cranes. While I was trying to get better photos, a very quiet Short-tailed Weasel peaked out of the grasses at me. It was a magic moment. I then drove on to Burney Falls, hoping that the Black Swifts would still be using the falls to nest in. That evening, I was surprised to see Vaux’s Swifts flying around the Falls Area. This mystified me, so I camped hearby to watch for them again in the morning. The birding near my campsite was fantastic. It was Gray Pine/Black Oak habitat and I found a migratory warbler flock of 4 species, breeding Purple Martins, lots and lots of Chipping Sparrows and the place was alive with activity. 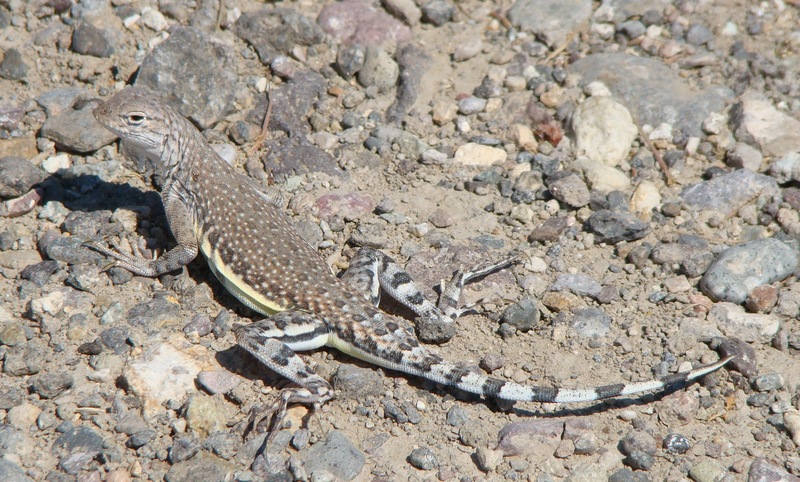 Just before sunset, I came across the Western Rattlesnake in the road. 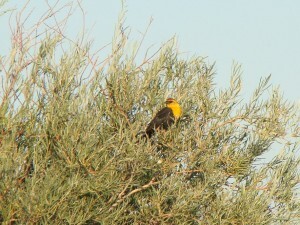 In the morning, I did a little birding around the State Park Area and then visited Carson Lake Reserve. It was hot, but the birding was good. There were breeding Long-billed Curlews. My photos of these did not turn out. And there were breeding Redheads. 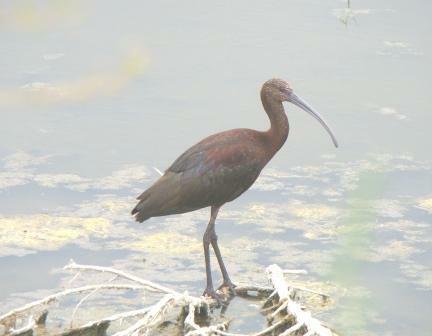 The most abundant bird of the area was White-faced Ibis. 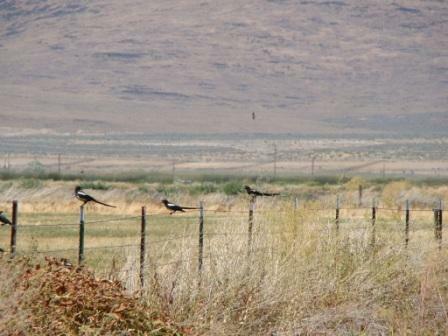 I also enjoyed seeing the thousands of swallows feeding over the marshes and staging in the tules. There were hundreds of Bank Swallows in amongst Tree, Cliff and Barn Swallows. 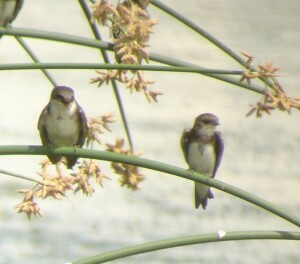 Below is a photo of a Bank Swallow next to a juvenile Tree Swallow. Another wind and dust storm came up in the afternoon. There was rain and lightning visible in the distance both evenings, but I only experienced the wind and dust. 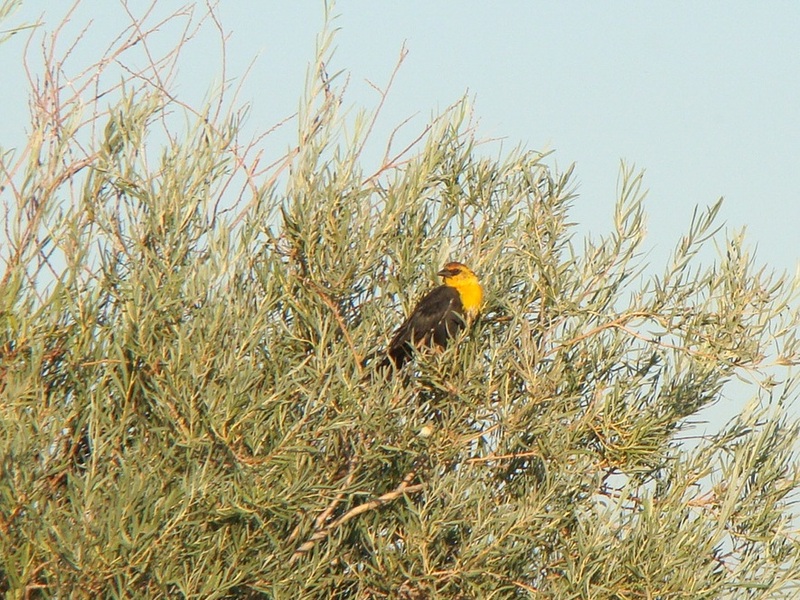 On Friday, July 29, I loaded up the car and decided to go to Lahontan Valley Nevada, just to see a new place and do some birding. I needed an adventure. I had 6 days and I was going to use them. 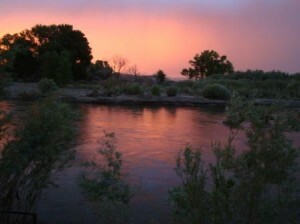 I traveld over I-80 past Reno and Sparks and camped in Fort Churchill State Park along the Carson River. It was an amazing riparian corridor with some of the largest Cottonwood Trees I have ever seen. 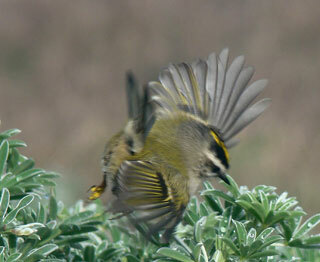 It was late afternoon when I arrived, and a huge wind and dust storm had brewed, so I did not see many birds. But the sunset was spectacular.